To achieve exceptional results, combine MitoVitan Active concentrate with your cosmetics just before use. This will add the full potential of the SkQ1 antioxidant to your preferred skin care method. It is recommended to store the ready-made mixture for no more than two weeks. For more information on how to use and prepare a mixture with liquid and thick cosmetics, read the instructions supplied with the MitoVitan Active concentrate. The unique SkQ1 substance works in any place where it is necessary to struggle with the activity of the aging program. 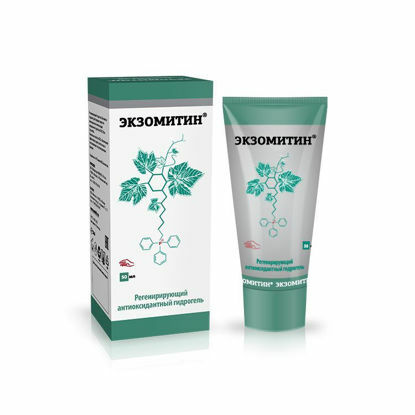 MitoVitan Active Concentrate can be used for face, neck and décolleté, scalp and body care. 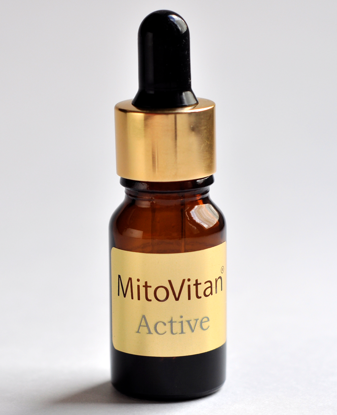 MitoVitan Active concentrate can be used continuously or with a course. The recommended course duration is three months. Antioxidant SkQ1 is able to penetrate and accumulate directly in the mitochondria - in places of formation of free radicals. This makes it a thousand times more effective than coenzyme Q10. 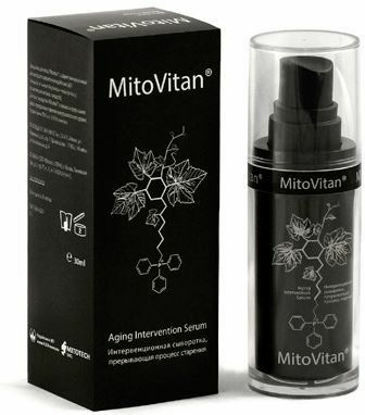 Thus, MitoVitan Active concentrate day after day slows down the aging program, neutralizing excess free radicals. MitoVitan Active concentrate is not recommended for mixing with alkaline cosmetic products (pH> 7) - for example, with shampoos, liquid soap - as in this environment the SkQ1 molecule is the least stable. In this case, we recommend the addition of MitoVitan Active concentrate to hair balms or shampoos and soaps with a neutral pH mark or pH<7 (corresponding to an acidic medium). New antioxidant based agent SkQ1 - regenerating hydrogel Exomitin® - for skin care after negative thermal or mechanical effects, special care for problem and damaged skin.